Two and a half years ago at the US Open against Nadal, Fognini decided to swing away. In the first two sets, the Spaniard was very confident and effective. But in the third set, the Italian began to kiss the lines and all of a sudden, he was ready to stun Nadal. And he did, winning 3-6 4-6 6-4 6-3 6-4. Fognini was so happy, while Rafa was very upset. He was ticked off and didn’t want to go it again. In the fall, Nadal beat Fognini in Beijing. In 2016 on clay at Barcelona, Rafa out-hit the Italian. On Thursday, both men want to reach the final badly. Rafa hasn’t won a big tournament since 2014. The 29-year-old Fognini hasn’t reached an important tournament, ever. Without a doubt, Fognini will attempt to push Rafa way back on the court, hammering the Spaniards so-so backhand. But Rafa knows that, he is trying to improve his backhand, and of course, the left-hander can dominate with his incredible forehand. The Aussie Kyrgios says that Federer is the best player, ever. Unfortunately for Roger, the only time they played was in 2015 at the Madrid Masters, and the then 18-year-old Kyrgios shocked Federer 6-7(2) 7-6(5) 7-6(12). Can they do it again on Friday night in Miami? We hope so. A couple weeks ago, they were set to face off at Indian Wells, but Kyrgios got sick and pulled out. This time, he is going to go on court and let it all hang out. We all know that Nick is very, very good. His serve, forehand and backhand are very powerful. He also throws in a lot of slice. Federer is looking tired. The Swiss won the tough Indian Wells in California, and during the last eight days in Florida, he’s looked shaky. He nearly lost against Tomas Berdych on Thursday. Roger is so, so happy this year, unlike last year, when he was angry because his body was breaking down. Obviously, the 18-time Grand Slam is the favorite and he is extremely knowledgable, but it is time for Federer to lose now and rest. Kyrgios will win in three amazing sets. Wozniacki against Pliskova: Is Caro ready to win again? Earlier this year, Caro and Pliskova reached the final in Doha. Wozniacki had won the tournament before. In 2013 Miami, Woz overcame Pliskova in three sets here. The same goes, winning at 2014 Monterrey and Istanbul, also in another three sets. Pliskova was good back then, but she was very inconsistent and she grew frustrated with her game. But in the past two years, Pliskova increased her speed. She will never be the fastest player, but this was a real improvement. But she hits the ball harder than anyone. That is why she is now ranked No. 3, and if she continued to improve, than she will become No. 1 someday. Soon. This year, the former No. 1 Wozniacki is rising again — especially with her forehand and serve — but once she goes up against the very good women, she chokes a bit. More so, in the semis or finals against the top 10, she gets very nervous. Amazingly, Woz hasn’t won a big event since 2011, when she won Dubai, Indian Wells and Beijing. Now, it’s all in her head. The good news is that Caro is finally getting aggressive. For sure, she is as steady as a rock and very rarely gets tired. In order to change when she was losing all the time, she need to see the light. She is on her way there, but it will be a months-long journey. That is why Pliskova will attack immediately and go for the lines. If she is kissing the lines, she will win. If she does not, maybe Caro will break her down. It’s a tossup, but Pliskova will out-stroke Woz at the end. The Swiss is totally locked in. It’s hard to believe that he is now nearly a reflection of his brilliant self from the mid-2000s. Players from that time must be wondering if Federer will continue to show real flashes of the player who dominated the sport a decade ago. Czech Berdych has gotten better in the past 10 days, but he still isn’t 100 percent yet. Take Federer is straight sets. It is the quarterfinals of Miami, you know? Are the young guys ready to dance now? Perhaps they are. The 19-year-old Zverev is racing ahead, stunning Stan Wawrinka. The controversial but super powerful Kyrgios has played very well this month, and the 21-year-old will reach the top 10 very soon. 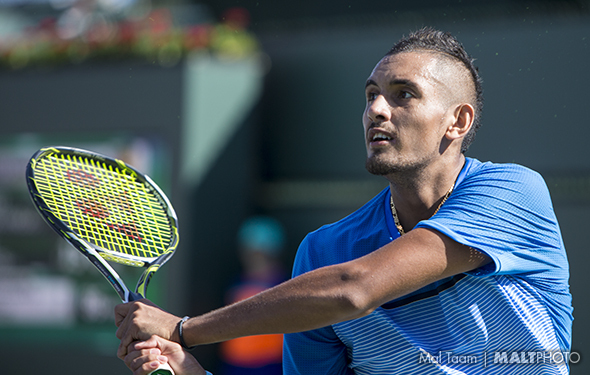 Two weeks ago at Indian Wells, Kyrgios beat the No. 20 Zverev 6-3 6-4. Maybe the German will change it up? Perhaps, but as good as Zverev is, he still needs to learn a lot of things. So does Nick, but he is a little older, and on court, smarter. Nick in straight sets. 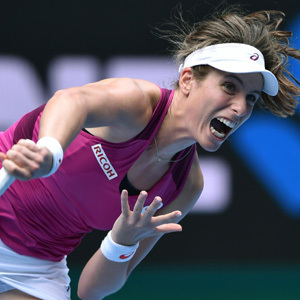 Both women played two great contests on Wednesday: Konta overcame Simon Halep in three dramatic — and very long —sets; Venus rushed towards the net frequently and bested the odd No. 1, Angie Kerber, in straight sets. Last year, Konta beat Venus at the Aussie Open and Stanford. While Konta is in great shape now, still, she might be a big tired. If Konta goes right out of the gates, she will win in straight sets. If they go to the third set, Venus will break her down. If Konta can take down Williams, we predict she will reach the final of Miami for the first time. Venus is always happy these days, and why not? She is 36 years old and she loves to play. Even when she loses, she will go to the next tournament and forget about how she messed it up on court. Someday, she will retire. Perhaps when she is 40 years old, right after the 2020 Olympics, she will wave goodbye. Or not … she may play until she is 50 years old. Even if she couldn’t run very fast, she will always nail her backhand down the line, so sweet! Can she beat the No. 1 Kerber? Angie hasn’t played well this year, but in the last week, she started her rise again. She is 4-2 vs Venus, beating her 6-4 6-4 at ’16 Wimbledon in the semis. Kerber was so quick and powerful and, of course, so steady. The only way that Venus can win it if she is super patient. Moreover, she has to come into the net very frequently. It will be very close, but in the third set, Kerber will step up. Angie will win in three long sets. Here is another very close contest. They have only played once, in Wuhan in 2015, when the Brit beat Halep 7-5 in third. Right then, we all knew that Konta was going to zoom up the rankings and crack into the top 10. Eventually, she did. They are both 25 years old. It has taken Konta a solid five years to be reach the spot where she is a threat now: fast, strong, steady and hitting with depth. Now, she can attack her foes immediately. Halep is very emotional, but when she is very calm, she can knock off anyone. And she has. This year, the former No. 2 has been mediocre at times. 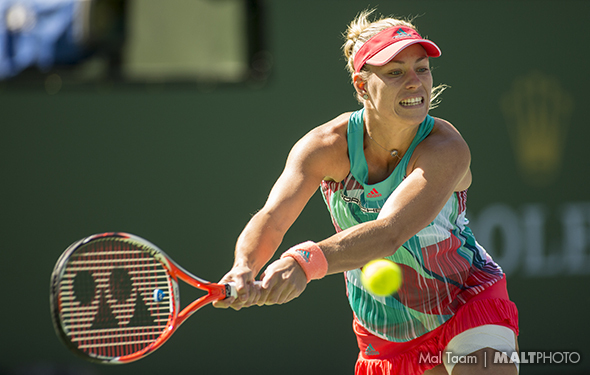 But, like Kerber, she is showing signs of the abilities that got her to be a dominant player. Once again, she is rising. However, it’s one thing to beat the players outside of the top 15, and it’s another to out-last excellent competitors. While Halep can run around forever, it’s different to have to force yourself when it is super close. She won’t be able to. Konta wins in three sets. The young American men are coming up fairly fast, but it is hard to know when the boys will win some major tournaments. Forget about the Grand Slams right now — it is very early. Nobody knows if they are good enough to beat spectacular players like Roger Federer, Rafael Nadal, Novak Djokovic, Andy Murray and Stan Wawrinka. Let’s look the veteran Americans, who are pretty good, but not good enough. Way back when, the Americans dominated: Pete Sampras, Andre Agassi, Jim Courier and Michael Chang. After they all retired, Andy Roddick was darn good, too. But that was the last one. In 2003, Roddick won the US Open. Since then, no Americans won it again. Now, it is 2017, almost 15 years gone dry. Currently, the American guys – John Isner, Sam Querrey, Steve Johnson and Donald Young – have not reached the semifinals at the Grand Slam. Ever. Even though he’s only 24, Jack Sock may be the U.S. man at No. 17, but he has also not shown the promise of rising Alexander Zverev and Nick Kyrgios. In fact, they haven’t won an ATP 1000. On Monday, John Isner will face the boy-wonder Zverev. Will the German show why he’s ranked the spots higher than the American? Querrey has a legitimate shot against Roberto Bautista Abut. The American vets do like Miami, so perhaps they can go very deep and possibly win it all? Maybe, but they have to prove it. Bethanie Mattek-Sands is playing well again and she has a fine shot against Mirjana Lucic-Baroni, but given that Lucic-Baroni played incredibly well by stunning Aga Radwanska, it will be a very intense contest. 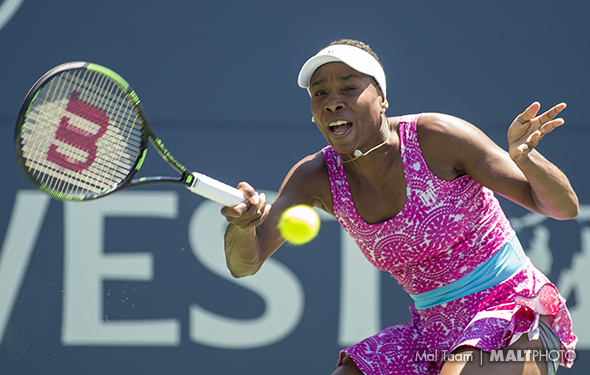 Also on Sunday, Venus Williams and the 19-year-old Taylor Townsend will play against different foes and may face off in the fourth round. Venus is the favorite in that potential clash. Tough one for Shelby Rogers, who has to play against No. 1 Angie Kerber. Marin Cilic is hard to figure it out. Somedays, he can play great. Other days, he’s completely out of it. 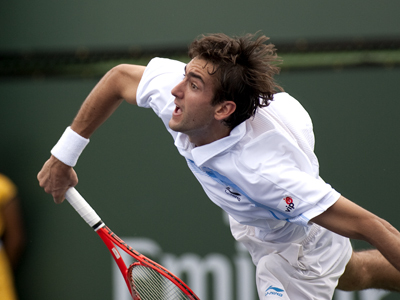 In Miami on Friday, the vet Jeremy Chardy beat Cilic 6-4, 2-6, 6-3. There are times when Cilic can blast the ball, but the Croatian has to be patient. In this match, Cilic did not. This year, the former 2014 US Open champion has had a poor season. He has five wins and seven losses. At least he reached the semis in Acapulco, but then Rafa Nadal crushed him 6-1, 6-2. The 28-year-old is ranked No. 9, but soon enough, he will drop out of the top 10, unless he can figure it out. He did win a major, and when he’s feeling it, he can beat anyone. Perhaps he can go all the way during the summer. Click here for a fantastic photo gallery by Mal Taam from ’17 Indian Wells’ BNP Paribas Open. INDIAN WELLS. March 12 — A couple years ago, Simona Halep became No. 2. She reached the final of Roland Garros. There she was very close to her first Slam win, but Maria Sharapova stepped on the gas, winning to 6-4 in the third. Halep had lost, and cried, but she believed that she could win at the Grand Slam. In 2016, she was on fire, racing around, hitting hard and crushing balls. She won Madrid, Bucharest and Montreal. But guess what? At the Slams, her head wasn’t into it. She lost early at the Aussie and Roland Garros. At Wimbledon, she managed to go into the second week, beating Madison Keys, but she fell against Angie Kerber in two tight sets. At the US Open, she reached the quarters again, losing another very tight match, going down to Serena Williams, 6-2, 4-6, 6-3. Now she will face KiKi Mladenovic at Indian Wells. Mladenovic beat her in Paris and Birmingham, but Halep topped her in three long sets at 2015 Cincinnati. 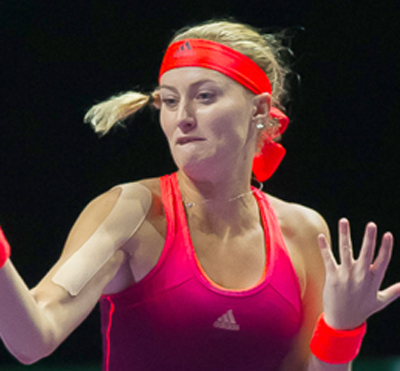 Mladenovic is rising, while Halep is struggling. One way or another, at Indian Wells, it should be a classic. Indian Wells – The veteran Venus Williams looked like her leg was almost broke. She was down late in the second set against Jelena Jankovic and in looked like that she was about to retire. But, gradually, her legs began to loosen up. She wasn’t slow anymore and she began to hit the lines. She came back quickly, and eventually, she won it 1-6, 7-6(5), 6-1. Venus is 36 years old. With the way she is playing now, it is possible that the seven-time Grand Slam champion could stay at the WTA Tour until she is 40. That is very unusual to be playing singles at that age when you are not as fast that you used to be, but you never know. It’s been nearly 20 years when Venus walked on the court at Oakland. She won a match and from there, she never backed down. The last time Venus won a major was in 2008, when she won Wimbledon. Could she ever win another Grand Slam title, like Roger Federer did in Australia? “My current battle involves me getting closer to No. 1. So that’s the biggest battle I’m fighting right now. It’s rather selfish perhaps,” she said.